Three school systems are located in New Ulm, along with a four-year college. New Ulm Public Schools is comprised of Jefferson Elementary, Washington Elementary, and New Ulm High School, which received a 9 out of 10 rating from Great Schools. In 2014, a $46.9 million school referendum passed, which will open doors to build a brand new public high school and to remodel and repurpose its existing buildings to include a junior high, an elementary school, a kindergarten to pre-K and community education building. New Ulm Area Catholic Schools has St. Anthony Elementary and Cathedral High School. New Ulm Area Lutheran Schools include St. Paul’s Lutheran School and Minnesota Valley Lutheran High School. 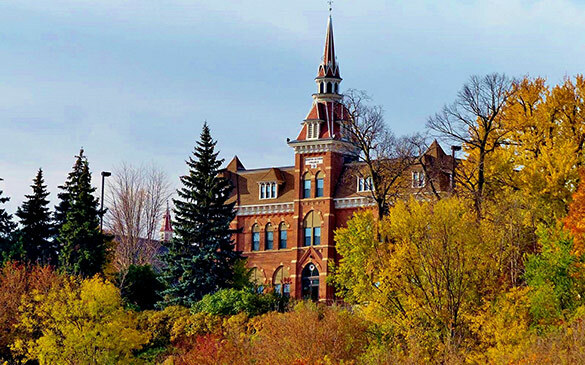 Martin Luther College sits atop the hill; it is a college of ministry training future pastors, teachers, and staff ministers. Come learn in New Ulm. In 2006, New Ulm received the Governor’s Fit City Plaque in recognition of our commitment to improving the health of our community. New Ulm boasts 25 city parks totaling 273.22 acres, each unique in its offerings; from a dog park and play sets to kiddie pools, skate ramps to disc golf courses, sand volleyball courts to ice skating rinks. Flandrau State Park, a prime summer destination, provides hiking trails, a sand-bottom swimming pool, camping, and much more. All summer long the Parks & Recreation Department provides activities, camps, and athletic leagues for children and adults. During the winter months, residents can enjoy New Ulm Recreation Center which houses an indoor pool for swimming lessons and open swim with waterslides and a rock wall, Vogel Fieldhouse with multiple courts and a track, and a fitness center with classrooms. The Civic Center keeps the cold in with two year-round ice sheets, one regulation size and the other Olympic size. Come be active in New Ulm. Historic downtown New Ulm is comprised of unique boutique shops housed in beautiful German architecture. One can find clothing, gifts, jewelry, and more. Walmart and Walgreens all have a home along with a Menards that opened in 2013. Two large grocery stores, Cash Wise and Hy-Vee, on either end of town provide convenient access. If you don’t feel like cooking or it’s date night, New Ulm has around 40 restaurants from which to choose. Come shop in New Ulm. New Ulm Medical Center, member of Allina Health, is a nonprofit hospital and clinic serving the New Ulm community and south central Minnesota with exceptional rural healthcare. We offer an extensive range of care options with 53 providers and a full complement of visiting specialists. 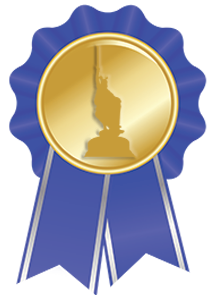 New Ulm Medical Center received the Innovation of the Year in Patient Care Award and the distinction of Top Performer on Key Quality Measures®. Come be cared for in New Ulm. Looking for a community where it’s safe and easy for everyone to walk and bike? Where restaurants offer delicious choices that are healthier for you, too? Where neighbors, friends and co-workers all care about their health and support each other in making healthier choices? Where you can enjoy a fantastic farmers market, fun community activities for all ages, a community garden, local food co-op and much more? Thanks to the efforts of The Heart of New Ulm Project, New Ulm has it all! The entire community is working toward a common vision — to support a culture of wellness in the community and help people make health the easy choice where they live, learn, work and play. Whether you are looking to buy or rent here, there are many options to choose from. Places are available for all generations; whether it is an apartment, a house, or an assisted living facility or nursing home. We have homes that date back to 1887 and are registered as historic. The German culture lives on in the well preserved houses that line some neighborhood streets. 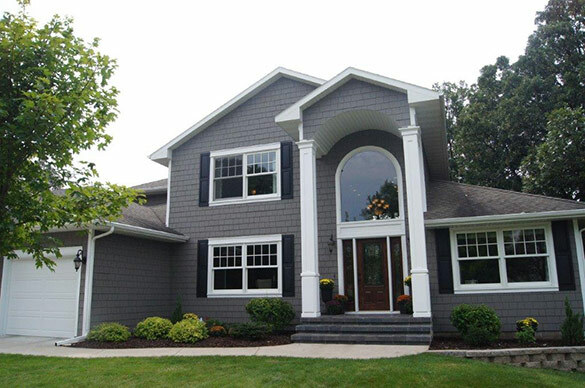 Other neighborhoods are brand new subdivisions that are still being built with modern homes full of amenities. You can live right on Broadway, above the unique downtown, close to school, or near the woods. No matter where you choose to live you will find wide sidewalks, mature trees, bike trails, parks nearby, and strong sense of community. Come find your home in New Ulm. If you anchor your life in faith, chances are you will find a place to belong in New Ulm. Religions present here with established worship centers include: Lutheran, Baptist, Presbyterian, Methodist, Catholic, Episcopal, Jehovah’s Witness, Pentecostal, and Non-Denominational. Come find a church home in New Ulm. The fine arts are alive and well in New Ulm. Music, theater, and film have places to shine. During the summer months on Monday evenings, one can enjoy a free concert in German Park. Adolescents can take lessons at the Suzuki School of Music, from piano to violin. State Street Theater Co. allows adults and children to perform the art of theater. Carmike Cinema 3 is located near downtown New Ulm with three screens showing recent films. Also located downtown is The Grand, comprised of center for Arts & Culture and The Kabaret, which holds art galleries and musical performances as they come to town. All of New Ulm’s famous festivals incorporate polka music, dancing and good cheer. 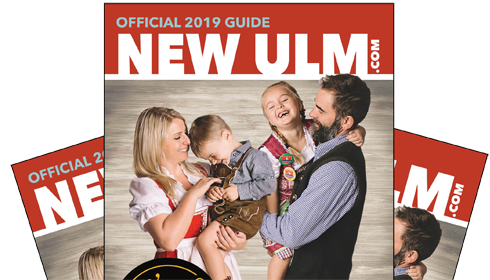 Click on the image above to view the New Ulm Visitor and Relocation Guide. Click here to order your free copy in the mail. Come Live NU in New Ulm!